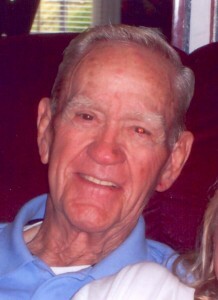 Mr. William Edgar “Buck” Covington, 86, of Hylan Avenue, Hamlet, N.C., died, Tuesday, June 23, 2015 at Hospice Haven, Rockingham. He was born September 12, 1928 in Richmond County, son of Edgar Richmond Covington and Myrtle Ross Covington. Mr. Covington was a former owner and operator of Covington’s Body Shop and a member of Jefferson Park Free Will Baptist Church. He is preceded in death by his late wife, Sarah Shoe Covington; and his special friend, Jane Morehead. Survivors include his daughter, Debbie Covington Morehead and husband, Kevin; sons, Jerry Covington and wife Linda and Gene Covington and wife Tracey all of Rockingham; eight grandchildren, Kim Covington, Keith Covington, Jason Williams, Mandy Covington, Rocky Covington, Bucky Covington, Susannah Walters and Stevie Allen; and seven great-grandchildren, Lexi Allen, Colbie Covington, Mollie Covington, Logan Thomas, Kennedy Covington, Jackson Williams and Connor Williams. Visitation will be from 6 p.m. to 8 p.m. on Thursday, June 25 at Harrington Funeral Home. At other times the family will receive friends at the home of his daughter at, 127 Pineledge Drive, Rockingham. The Funeral will be at 11 a.m. Friday, June 26 at Jefferson Park Free Will Baptist Church with Rev. Roger Webster and Rev. Frank McQuage officiating. Burial will follow at Richmond Memorial Park. Harrington Funeral Home and Crematory is serving the Covington family.